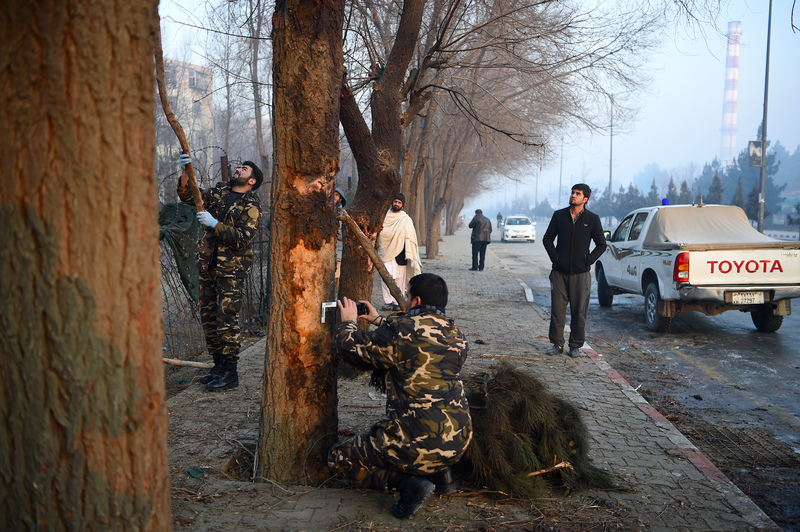 KABUL -- A terrorist attack on an intelligence agency training centre in Kabul Monday (December 18) triggered an intense gun battle with Afghan police, leaving at least two attackers dead and two police officers wounded. "Today, around 10.00 in the morning, three attackers entered a building behind the National Directorate of Security [NDS] training centre in the Afshar area of [the 5th police district]," Nasrat Rahimi, deputy spokesperson of the Interior Ministry, told Salaam Times. Security forces battled the militants, who were beseiged in a construction site at the training centre, for several hours. "They were well hidden in buildings under construction. We exploded their VBIED [vehicle-borne improvised explosive device] and killed two or three of them," a source with the NDS told AFP on condition of anonymity, referring to a car bomb that attackers brought to the scene. "Security forces, especially special forces units, acted on time, and [as a] result, all three attackers who were in police uniform were eliminated," Rahimi said. "In this terrorist attack, no civilians [were] hurt and only two police officers [were] injured," said Rahimi. The "Islamic State of Iraq and Syria" (ISIS) claimed responsibility through its Amaq propaganda agency, saying that two attackers raided the centre. Roads to the area were closed and dozens of police and intelligence officers blocked access to the area during the fighting. Ambulances and reinforcements were seen heading toward the site, according to AFP reporters. "I was going toward my school. [The attack] happened suddenly... the police arrived fast and blocked the roads, not allowing anyone to go home," Naweed, a student, told AFP. This incident is the latest in a string of deadly militant attacks in recent months. 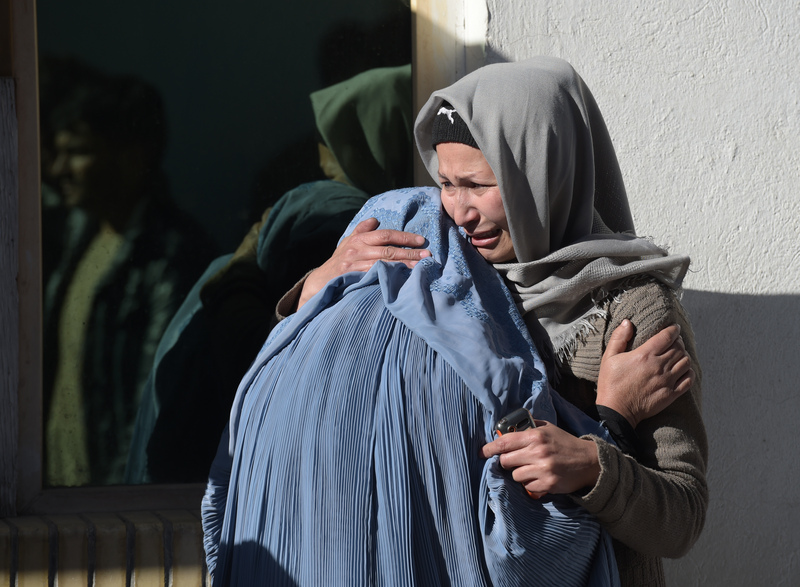 Security in Kabul has been strengthened since May 31 after a massive truck bomb ripped through the city's diplomatic quarter, killing about 150 people and wounding around 400 -- mostly civilians. No group has officially claimed responsibility for that blast, which the government blamed on the Taliban-allied Haqqani Network. ISIS, which has expanded its presence in Afghanistan since it first appeared in the region in 2015, has also scaled up its attacks in Kabul, including those on the country's Shia minority. Last month, a suicide bomber blew himself up outside a political gathering in Kabul, killing at least 14 people in an attack claimed by ISIS. ISIS claimed responsibility for the attack, the first to hit the capital since the start of the new year. 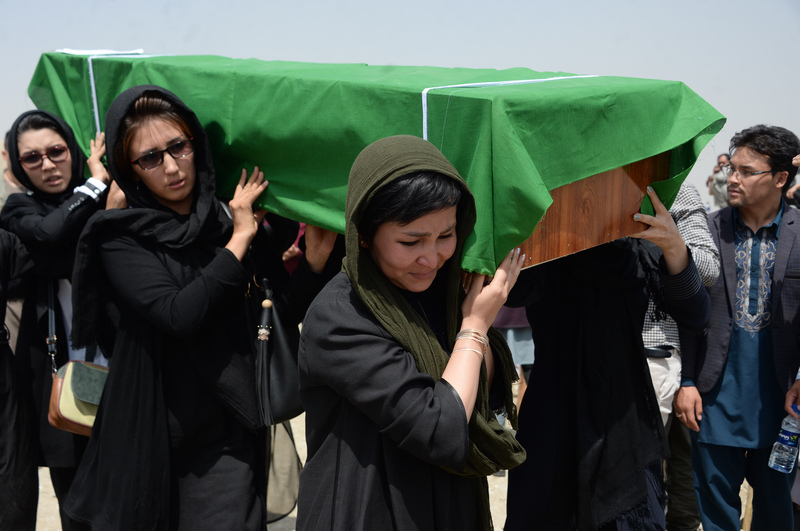 While gunmen failed to inflict serious casualties in their attack against an NDS training centre, parents buried their dead teenage children following an ISIS suicide bombing on a education centre. Witnesses say the faces of the young victims were unrecognisable after multiple blasts hit an annual gathering.